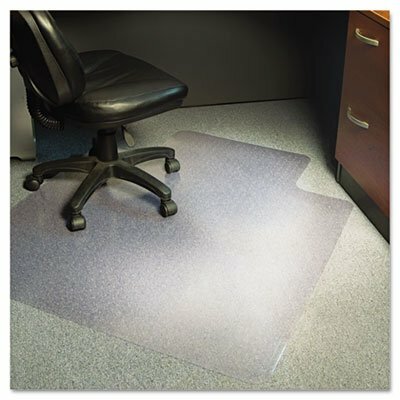 Protects loop/Berber style carpet up to 3/8-Inch thick including the padding. For moderate office use. Exclusive Anchor Bar chair mat cleats hold firmly in place yet are gentle on carpet and fingers. Crystal Edge creates a smooth finished edge of superb clarity while providing effortless roll on and off mat. Protects against wear and tear from chair casters. Engineered for optimum clarity, high performance and a smooth effortless roll. Made in the USA. "No Crack Mat" Guarantee.